The second half of this year is turning out to be a pretty massive one and next year will bring some pretty big releases. If you’re on Twitter, you may have noticed that Maynard James Keenan tweeted on September 11, 2018, that we can expect a new Tool album in 2019. Also, Corey Taylor has been spruiking the fact he’ll be focussing on working on Slipknot material for next year which is currently in the demo process and the impressions we’re getting is that the new Slipknot album is being touted as being as heavy, if not heavier than, Iowa. Sumac will release their new album Love In Shadow in Friday September 21. The Black Dahlia Murder with special guests Aborted and Zeolite will crush Melbourne’s Max Watts on Sunday September 23. Anaal Nathrakh will release their new album A New Kind Of Horror on Friday September 28. Ichor will release their debut album God Of Thunder God Of War on Friday October 5. Behemoth will release their new album I Loved You At Your Darkest on Friday October 5. Dimmu Borgir will headline their first ever Oz tour this October and their SOLD OUT Melbourne show will be at 170 Russell on Wednesday October 17. Fortunately, the band have announced a second show on Tuesday October 16. Get in quick before this one sells out as well! Eye Of The Enemy, Fall and Resist, As Flesh Decays, Interitum and Distorta will all play Ballarat’s Eastern Hotel on Friday October 19. Disturbed will release their new album Evolution on Friday October 19. Pig Destroyer will play The Arthouse on Tuesday October 30. The Ocean will release their new album Phanerozoic I: Palaezoic on Friday November 2. Opeth will release Garden of the Titans: Live at Red Rocks Ampitheatre on Friday November 2. 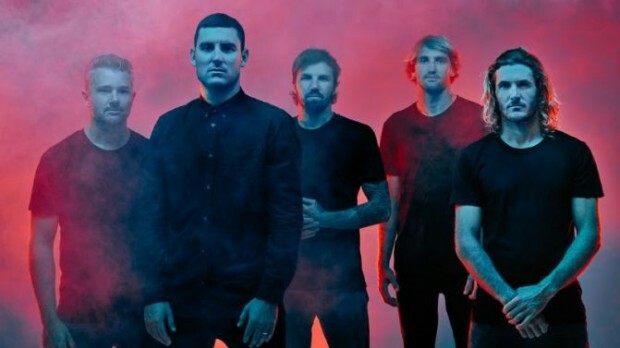 Parkway Drive, Killswitch Engage and Thy Art Is Murder will play Margaret Court Arena on Friday November 2. Psycroptic will release their new album As The Kingdom Drowns on Wednesday November 7. Conan and Bell Witch be at Max Watts on Thursday November 8. Architects will release their new album Holy Hell on Friday November 9. Sinsaenum will play Max Watts on Saturday November 10. An Evening With Steven Wilson will take place at the Palais Theatre on Saturday November 10. Download 2019 will be held at Flemmington Racecourse on Monday March 11.